Zebra chip may sound like a fun new black-and-white striped snack, but it’s not. Zebra chip is a bacterial disease that attacks potatoes. Like most bacteria, Candidatus Liberibacter solanacearum doesn’t move around very well on its own. Instead, it lives in the gut of potato psyllids. Potato psyllids are tiny, sap-sucking pests. As they feed, the bacteria move from the insect to the plant, infecting the vascular tissue in both the plant and its tubers. There are no aboveground symptoms of zebra chip, but potato psyllid feeding causes foliage to turn yellow or purple. It can also cause pink or red discoloration of leaves. The real symptoms are visible only after you cut into a tuber. The zebra chip bacteria cause potatoes to store sugar, rather than starch. That might sound like a great idea for a new dessert food, but the presence of sugars cause vascular tissue to turn into ugly brown lines. When cooked, these brown lines turn black, hence the name. This condition also reduces crop size by 20 to 50%. Healthy appearing potatoes from plants affected by zebra chip are more likely to sprout while in storage. Seed pieces taken from infected plants either do not sprout at all, or they produce weak, infected plants. Since zebra chip is carried in by potato psyllids, that’s where you must work to break this disease triangle. Potato psyllids can be trapped with yellow sticky sheets and spinosad can be used to reduce potato psyllid populations. These treatments won’t get rid of all the psyllids, but they will help. Be sure to inspect potato, bean, and pepper plants regularly for signs of psyllids. Zebra chips might sound like a fun new brand of potato chips, but what they really mean is you need to be on the lookout for potato psyllids as you work and play in the garden. In the short days of winter, many of your fruit trees look as though they aren’t doing much of anything. Other than collecting chill hours and working to stay alive, that would be mostly true. As the days begin to lengthen, leaf and flower buds start to swell. But, sometimes, those swellings are something else entirely. Also known as the almond and plum bud gall mite (Acalitus phloecoptes), this pest is native to Europe and the Middle East. As of January 2019, it made its way to California, threatening tens of thousands of plum, pluot, almond, apricot, and many other fruit and nut trees. Plum stem exhibiting plum bud gall mite galls. Photo courtesy of Susan Casner-Kay. What are plum bud gall mites? Plum bud gall mites are a type of eriophyid mite. Eriophyid mites are a family of microscopic plant parasites. These pests enter stems and buds through lenticels and injury points, and then overwinter under the bark. Very little information is available about this new pest, but knowing what to look for can help you to stop it from spreading. Dissected plum bud gall mite gall. Photo courtesy of Susan Casner-Kay. Treating your trees with wettable sulfur in March or April, when plum bud gall mites first start to emerge from their protective galls, has been effective in controlling these pests in other regions. Treatments may need to be repeated, depending on the level of infestation. Note that apricot leaves are very sensitive to sulfur, so you can only treat apricot trees with sulfur before leaves emerge. Because these particular eriophyid mites are new to the region, we do not yet know what sort of an impact native predatory insects will have on controlling plum bud gall mite populations. If you happen to see this new pest on your trees, please contact your County Extension Office right away. No, wait. Sorry, that’s not what I meant. Beet armyworms are insidious little creatures that may be burrowing into your young beets as you read. Originally from Southeast Asia, beet armyworms were first seen in the U.S. in 1876. Today, they are considered major pests of many agricultural crops in areas without freezing winters. Like other armyworms, beet armyworms (Spodoptera exigua) are the larval form of a moth. In this case, it is a moth that flies around, laying eggs on some of your favorite garden plants. While it might be easier to list the plants not susceptible to beet armyworms, you need to know where to look for these pests. In addition to beets, the list of potential beet armyworm hosts includes beans, celery, cilantro, citrus, cole crops, cucurbits, lettuces, parsley, peppers, strawberries, and tomatoes. Beet armyworms also attack alfalfa and cotton. Female moths lay pale, pinkish or greenish striated eggs in clusters of more than 100 eggs, often on the upper sides of leaves. These clusters look fuzzy, due to hairlike scales left behind by the moth. After they hatch, larvae begin feeding on nearby leaves, slowly dispersing throughout the plant. As larvae get older, they also feed on fruit. After defoliating your plant, the mature larva drops to the ground, where it pupates in a shallow depression in the soil, or in a pocket excavated just below the soil surface. An adult moth emerges, and the whole process begins again. This cycle is completed in one month, so there can be multiple generations each year. Larvae are smooth, pale green caterpillars, with several pale, wavy lines down the back and a broad stripe down either side. You may also see a dark spot above the second pair of legs. Other color variations can occur, depending on the food source and developmental stage. After 2 or 3 weeks of feeding, caterpillars will reach 1.25 inches in length. Adult moths are mottled brown and grey, with a 1-inch wingspan. Beet armyworms can destroy seedlings in only minutes. When feeding begins, the damage appears as clusters of circular or irregularly shaped holes in leaves. It can also cause flagging, a condition that slows or halts growth on one side of a plant. Larvae will feed on the crown of lettuce plants, killing them. As caterpillars get bigger, they can skeletonize all the leaves on a plant. Most fruit feeding occurs on or near the surface, and can be cut away, assuming other pathogens haven’t entered the fruit, causing disease or decay. Of course, you will want to wash the fruit thoroughly, to get rid of caterpillar feces. If beet armyworms feed on floral buds, the buds will abort. In the home garden, natural predators are your plants’ best defense against beet armyworms. Predatory wasps will parasitize beet armyworm larvae, while big-eyed bugs, and minute pirate bugs will feed on the eggs. Spiders, damsel bugs, assassin bugs, tachinid flies, and lacewings will also feed on beet armyworms, so avoid using broad spectrum pesticides. In severe cases, you can apply spinosad or a specific type of Bacillus thuringiensis (ssp. aizawai). Prevent beet armyworm invasions by monitoring nearby weeds, especially lambsquarters, goosefoot, and pigweeds for signs of egg clusters. Harvesting your crops as soon as they are ready can also interrupt the lifecycle of these pests. Beet armyworms have been known to travel as far as 10 feet during a night, putting most of your garden plants at risk. Monitoring for signs of beet armyworm infestation can help you prevent the problem from spreading. Bare, dormant stems begin to swell in spring, transforming from green to red tips, from which tight clusters of pink blossom buds emerge. Those buds will bloom, drop their petals, and generate fruit, assuming they have been pollinated. That is, of course, unless blossom brown rot has taken hold. Blossom brown rot (Monilinia laxa), also known as brown rot blossom blight, is a fungal disease of almonds, apricots, cherries, and other stone fruits. Similar to brown rot (Monilinia fructicola), blossom brown rot can affect flowers from pink bud stage through petal fall. All parts of the flower are susceptible. The first sign of blossom brown rot is the death of young blossoms. What should be a colorful, flower-laden tree, buzzing with pollinators, looks more like clusters of brown, dried up tissue paper. [That would be an extreme case.] More often, infected flowers are intermittent (at first). Gum may ooze from the base of infected flowers and cankers may form on twigs. Those cankers will have tan centers and dark edges. Blossom spurs and their leaves may collapse. Under humid conditions, you may be able to see tan to grey spore masses. Fungal spores overwinter in twig cankers, on mummified fruit, and on any diseased flowers that remain attached to the tree. As temperatures rise in spring, fungal spores begin populating nearby twigs and other blossoms, causing twig and branch dieback, along with blossom losses. Spores are airborne, and spread by irrigation and rain water splash, and by insects. This fungi thrives in rainy weather with temperatures in the 70s. High humidity can also encourage spore development. In fact, this fungi’s growth is almost directly related to humidity and temperature, both of which are difficult to control in the home garden. Proponents of compost tea recommend foliar sprays as a treatment for blossom brown rot, but research has shown that compost tea either has no effect, or that it worsens the condition. Unless you want to apply chemical fungicides, you are best off selecting varieties that are resistant to this disease in the first place. In the world of almond trees, the following species are most susceptible to blossom brown rot: Butte, Carmel, Drake, Ne Plus Ultra, Winters, and Wood Colony. You can also reduce the likelihood of blossom brown rot by removing all mummies, as soon as they are seen, and disposing of them in the garbage. Pruning and training for better air flow can also reduce the amount of time blossoms take to dry. Winter months are an excellent time to prune fruit and nut trees. Naked and dormant, it is easy to see each tree’s structure. This is also a good time to inspect for common pests, such as scale insects and European red mites. While you will certainly want to get rid of any San Jose scale, walnut scale, Italian pear scale, or frosted scale insects you see, you should leave the European red mites where they are. Why in the world would you want to leave pests on your trees? Like many other plant-sucking pests, European red mites overwinter as eggs, tucked tightly against the bark of twigs, stems and leaf and bud scars. When they hatch, they begin feeding. The thing is, these tiny pests have small populations, at first. They don’t cause significant damage until late summer. By that time, they will have attracted an army of hungry, beneficial predators. If you look closely, you may be able to see the reddish-orange eggs of European red mites. If you use a hand lens, you might even be able to see that these eggs have a spike. While winter eggs are attached to bark and stems, summer eggs are generally found on leaves, near leaf veins, and on fruit. Around the same time that walnut trees start leafing out, these winter eggs will hatch and bright red, tiny mites will appear. These mites will go through 3 moltings, or instars. First instars have 3 pairs of legs, while older instars have 4 pairs of legs. Freshly molted mites may sometimes have a green tint. Adult females are reddish, with 4 rows of curved hairs emerging from white spots. Males are smaller than females and brown in color. Females measure in at 1/72 inch. Males are 1/80 inch, which means you could line up 4 of them on the edge of a dime. ​If populations become especially high, European red mites will disperse themselves in a behavior called ballooning. While it is all well and good to let these pests have their day in early spring, as temperatures rise and populations increase, they can cause serious damage to apple, cherry, pear, plum, prune, and walnut. They may also be found on almond, chestnut, currants, gooseberries, grapes, peach, and raspberries, as well as roses, privet, lilac, elm, alder, and black locust. Young mites prefer feeding in the relative safety of the undersides of leaves. Older, more mature mites feed on both sides. Light feeding will cause leaf stippling. Heavy feeding can bronze leaves. Bronzing may be fine for baby shoes, but it makes photosynthesis impossible. Whereas other mites produce webbing and cause leaf drop, the European red mite produces little or no webbing and no leaf drop. 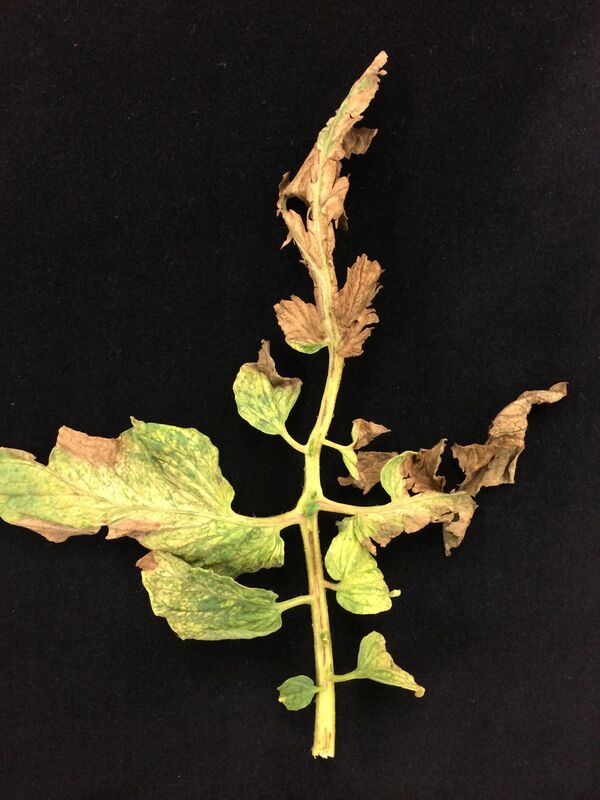 Persistent, heavy mite feeding can also cause transpiration burn (leaf blackening), reduced fruit size and quality, shoot growth, trunk and limb growth, and root growth. If populations of European red mites become significant, you can apply delayed dormant horticultural oil, but that oil may cause sunburn damage. It’s a tough call. Since European red mites have demonstrated resistance to miticides (a type of pesticide geared toward mites), it is better to avoid chemical sprays. Spraying these pests with a hose does nothing. If your garden or landscape has a lot of biodiversity, odds are pretty good that there will be enough predators to control European red mite populations. Also, keeping plants dust-free makes the environment less hospitable to these pests.